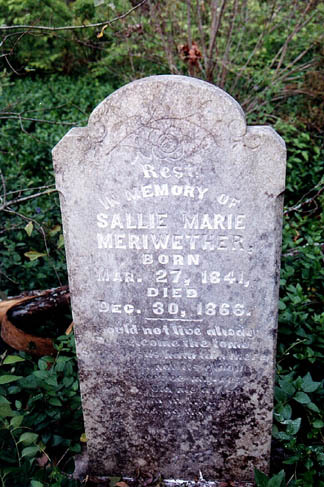 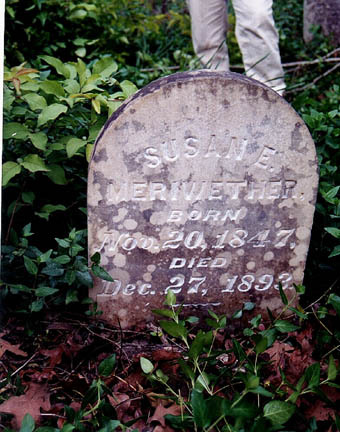 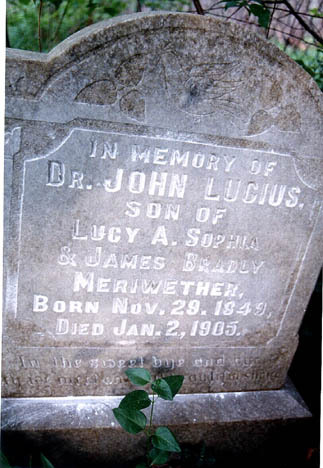 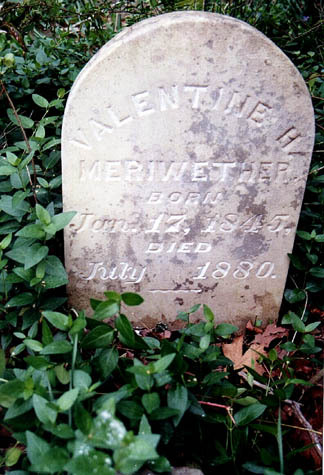 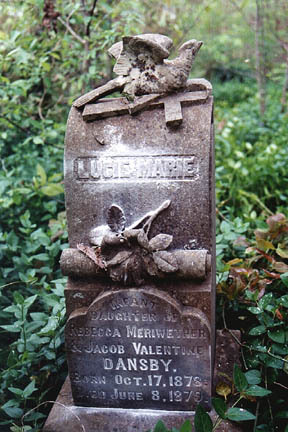 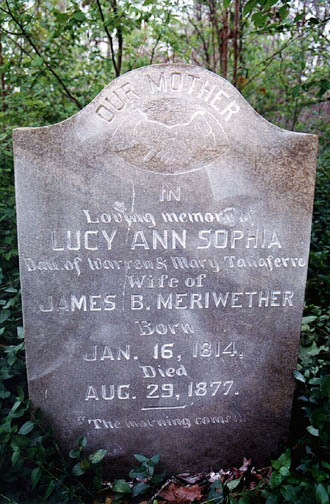 In this cemetery you find Meriwethers that are descendants of Dr. Nicholas Meriwether. 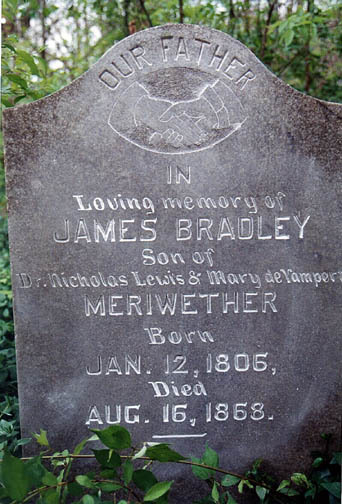 The family of James Bradley Meriwether (son of Dr. Meriwether) is buried here.The land was part of the original Meriwether tract in Montgomery Co. and was still in the family in the 1960s. 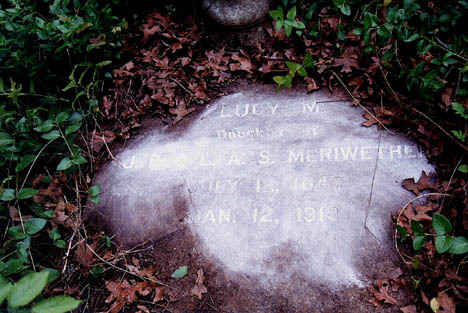 Comments in ( )s are by Beth Meriwether and refer to information in The Meriwethers And Their Connections by Nelson Heath Meriwether, 1964 or they are comments about the condition of the stones. 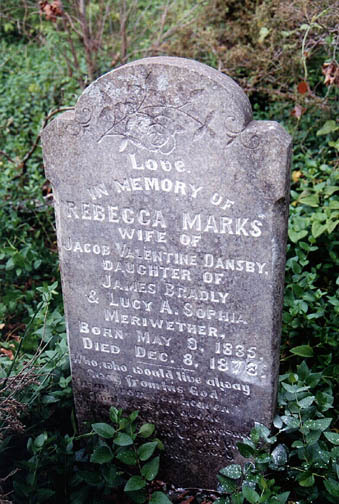 The underlined names have links to the photo for that particular person.